Adobe taps seoClarity’s “disruptive innovation” to provide clients with the complete picture of their SEO. Now, marketers have a 360-degree SEO collaboration solution. 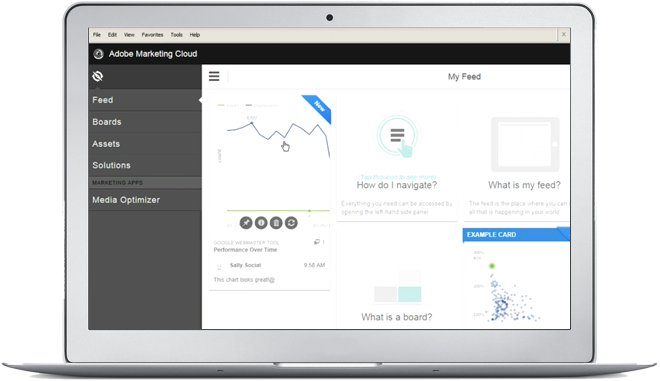 Take control back with seoClarity’s expanded Adobe Analytics integration. Now, you can achieve complete visibility into all levels of your SEO efforts, including keyword-level data lost in Google’s move to 100% secure search. Our proven keyword data source and multi-layer, secure platform give you the ultimate clarity you need to make the smartest decisions possible. With seoClarity’s streamlined process, search marketers can effortlessly and instantly deploy changes to critical pages with a single click, eliminating time wasted skipping between platforms, and putting control back in the hands of the marketer. This first of its kind innovation allows for a two-way exchange of content between Adobe CQ5 and the seoClarity platform to increase efficiency and revenue. When you see what the seoClarity platform can do, you’ll understand the true power of these groundbreaking Adobe Integrations!